As some of the most sought-after amenities in a dream home, fireplaces serve as the gathering point and focal point of any room. Have you ever considered how fireplaces naturally please all five of your senses? Understanding how the different senses interact with a fireplace can provide insight into why they’ve been so popular for centuries and why you should consider it essential for your dream home. Undoubtedly one of the greatest benefits of a fireplace is the cozy heat that it provides. The discovery of fire changed the course of human history, and to this day, many people around the world depend on it to heat their homes. Beyond the practical need for warmth, the radiant heat of the fire can provide a calming and soothing sensation even on the coldest days. Also, with modern innovations, you can heat more than just one room with a fireplace, with the best fireplaces working in conjunction with the home's vent system. Flames are hypnotizing, and they can captivate us for hours. With a natural gas or wood burning fireplace, every flame is unique, and as you watch them dance and flicker with even the slightest burst of air, it's hard to look away. 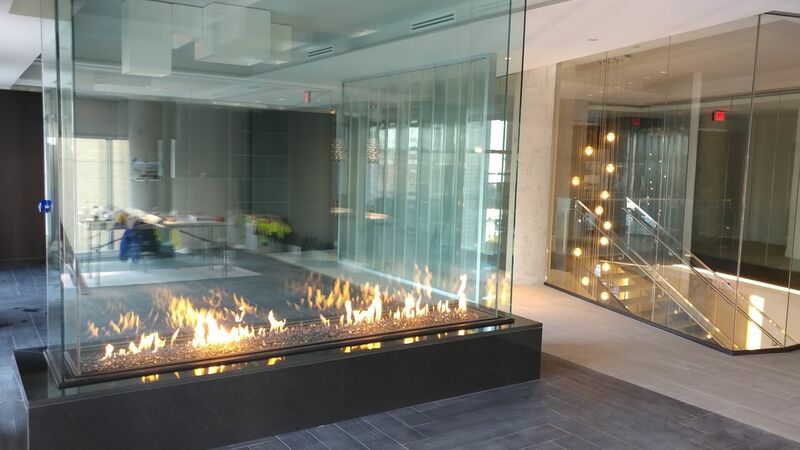 What's more, modern designs like a see through fireplace add a sophisticated element to the already visually-satisfying flames with premium materials and glass on two sides of the opening so you can easily enjoy the flames from one room to the next. Cooking over an open flame is an experience like no other. Just as many prefer gas ranges over electric, cooking meat, vegetables, and marshmallows for mores is a satisfying experience, and the taste is authentically unlike any other. The best part is that cooking over a flame isn't just for campfires, as the best wood burning fireplaces will feature optional cooking arms and offer cooking-grade stainless steel grills. Smells can produce memories more strongly than any other sense. The smell of a burning fire can conjure up memories of childhood camping trips, chestnuts roasting over an open fire, and other pleasant thoughts. Depending on the wood being burned, you can experience different smells. Many people have their own personal favorites as a natural way to fill their home with aromas that linger in the air. As the water trapped inside the wood is heated and vaporized, it makes a crackling sound with the occasional pop that can be music to our ears. This pop and crackle sound is unique, and although gas fireplaces offer convenient heating and design options, a wood burning fireplace is the only way to truly enjoy these authentic sounds. Just as with all of the other senses, the sounds of a roaring fire can create a welcoming and cozy experience that nothing else can quite top. 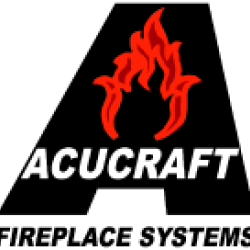 For over 40 years, Acucraft Fireplaces has specialized in creating one-of-a-kind fire features that delight and captivate homeowners and business owners across the country. They offer both a gas and wood burning fireplace collection in a wide variety of sizes, shapes, and styles to perfectly complement any existing or new space. They focus on innovative designs with advanced functionality and safety features that are a step above the rest. Whether you have a vision of the fire feature you want or wish to custom design a fireplace, the experienced, collaborative team at Acucraft Fireplaces will work one-on-one with you to bring your dream to life.